Despite scholarly criticism of the MBTI, it’s been correlated with aspects of knowledge management. An example from the field of medicine shows that there’s more that could be done to address the persistence of the MBTI. In our previous discussions in regard to evidence-based knowledge management, we’ve provided a number of examples of organisational practices for which the evidence base is either very limited, highly conflicting, or completely non-existent. 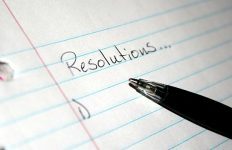 These include Maslow’s hierarchy of needs, Net Promoter Score, nudge management, predictive algorithms, team building events, and restrictions on the use of social network sites in the workplace. But arguably the most significant example that could be given would be the Myers-Briggs Type Indicator (MBTI), which is an ever-popular personality assessment instrument. Personality has been found to influence1 information and knowledge sharing behaviours, so a number of authors have sought to correlate the MBTI with aspects of knowledge management, for example Kumar Agarwal & Anwarul Islam2, Dueck3, Durling, Cross, & Johnson4, and Froggatt & Bibby5. 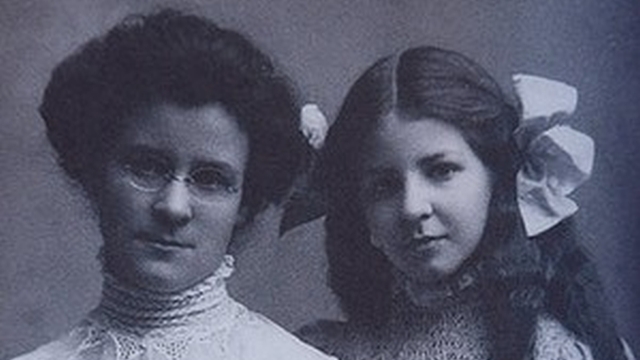 Given its popularity, continued scrutiny is warranted. Criticisms of the MBTI from the past few decades have focused on several of its problems while having ostensibly little impact on MBTI’s popularity. Conversely, as best we can tell, MBTI is not the radar of many social and personality psychologists. Therefore, the current paper builds on past criticisms by broadly focusing on the vast difference between the MBTI theory and what social and personality psychologists would consider a valid theory. We hope this will raise awareness of the psychological idea that is shaping the public’s view of psychology perhaps more than any other and provide a teaching reference to discuss its issues. Educating scholars and the general public in this way is a laudable aim, but will it make a significant difference, given that the MBTI remains one of psychology’s most popular ideas despite its identified flaws? I consider that there’s more that could be done, and to support my case I’ll draw on a parallel example from the field of medicine. But before I do that, a brief introduction to the MBTI and a summary of its issues. Information from personality tests help companies better understand their employees’ strengths, weaknesses and the way they perceive and process information. There are 16 Myers Briggs personality types and once that is determined, an employee usually has a better understanding of the best way to approach work, manage their time, problem solve, make decisions and deal with stress. (3) testability (ability to generate empirical predictions). Figure 1 (click to enlarge). Evaluation of the validity of the MBTI (source: Stein & Swan 2019). This is an odd argument because decades of research on personality theories has been devoted to the … idea that predictive ability is necessary to the validity of a personality theory. Even if this is an attempt at a side step around criticism, it raises the issue of whether the process of giving people feedback on their “true self” – even inaccurate feedback – is useful. The huge body of work which exists on the MBTI must be examined with the critical awareness that a considerable proportion (estimated to be between a third and a half of the published material) has been produced for conferences organised by the Center for the Application of Psychological Type or as papers for the Journal of Psychological Type, both of which are organised and edited by Myers-Briggs advocates. Pittenger asserts that ‘the research on the MBTI was designed to confirm not refute the MBTI theory’. Stephen Bounds has exposed the serious flaws in one such piece of MBTI research in a previous RealKM Magazine article. if, as recent research suggests, people believe they are guided by deep, unobservable essences and that basing decisions on those deep desires is key to decision satisfaction [then] [t]he desire for this knowledge and the appeal of MBTI‐style theory is therefore an unfortunate combination, and attacking MBTI on theoretical or psychometric grounds might have little effect on what some people intuitively expect from MBTI, and/or encourage them to invent new reasons why MBTI is useful. A challenge for academics is to get others to share their valuation of the scientific process in creating knowledge about human behavior. I contend that one way of meeting this challenge could be by providing a much starker contrast between scientifically valid theories and those that clearly aren’t. An example of this comes from the field of medicine, as shown in Figure 2. Figure 2 (click to enlarge). 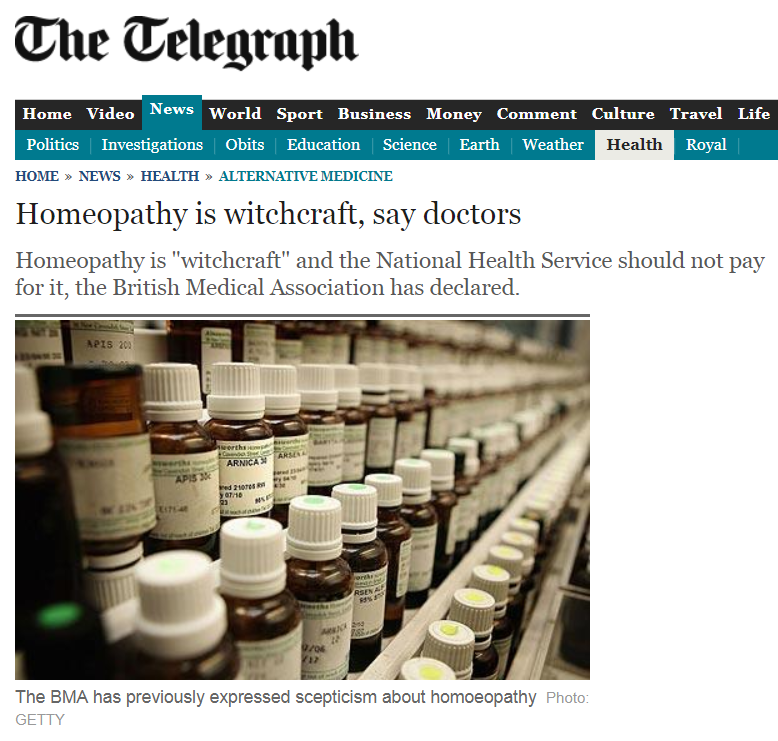 Homeopathy is witchcraft, say doctors (source: The Telegraph). Homeopathy is to medicine what the MBTI is to psychology – a popular idea that costs money but is very much divorced from the evidence. In February 2010, the UK House of Commons Science and Technology Committee handed down an Evidence Check report on homeopathy. The report found no credible evidence of efficacy for homeopathy, and in response was highly critical of the UK Government’s funding of homeopathy through the National Health Service (NHS) and the licensing of homeopathic products by the Medicines and Healthcare products Regulatory Agency (MHRA). 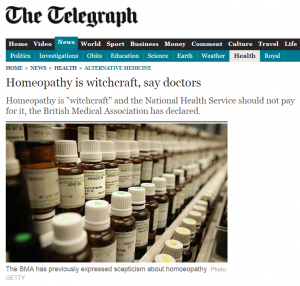 In the wake of the House of Commons report, and frustrated with the persistence of homeopathy despite a lack of evidence to support it, the British Medical Association took the bold step of describing homeopathy as witchcraft. In the time since, the NHS has decided to stop funding homeopathy, with this decision upheld by the High Court. The licensing of homeopathic products by MHRA continues at this time, however the number and cost of homeopathic prescriptions has continued to greatly decline. It is in his detailed study of the works of a 16th-century Swiss alchemist, Paracelsus, that Jung makes the most direct comparison between the four astrological elements and his earlier work on the functions of consciousness and character typology … [T]he relevant passage … provides pivotal evidence for the case we are making about the relationship between the psychological types inherited by the MBTI and its alchemical/astrological origins. Header image source: Wikimedia Commons, Public Domain. This phrase has the added bonus of injecting some levity into the conversation. A lovely phrase – hope you don’t mind if I steal it!